Don't waste money on a cheap PIR (single sensor) type driveway alarm! The Pocket Receiver Mains Adapter adds extra flexibility. Improve wireless reception on challenging sites with metal obstacles, thick stone walled buildings etc. 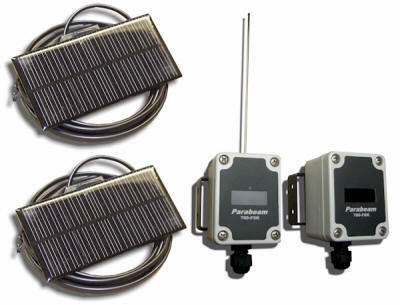 Easily add this weatherproof external / internal alarm siren to the Parabeam Driveway Alarm system. BLUE Easily add this weatherproof external / internal security strobe / Siren to the Parabeam driveway alarm / perimeter alert system. Due to innovative optical technology and the highest quality electronic components we have achieved the most reliable, external, wireless alert system on the market. 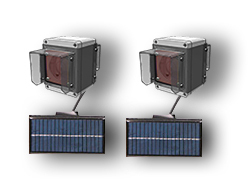 With the combination of the latest internal battery technology and solar power re-charging, the Parabeam security beam requires no mains wiring and no wiring between emitter and transmitter. The point-to-point infrared security beam is robust and weatherproof and tested in the harshest climate conditions in New Zealand. The 6 zone base receiver has a nominal range of 400 meters and up to 3 Km using the Megabeam External Antenna. 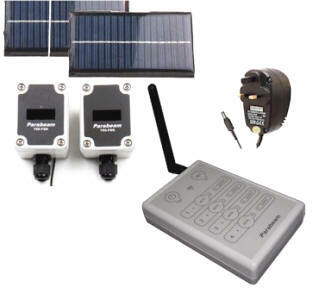 The receiver has adjustable sounder volume and an array of outputs which can drive external sirens, visual alert strobes, pocket receiver relay transmitter or can be used to switch security lights or incorporate into an alarm or CCTV system. Add up to a total of six additional security beams to the six zone base receiver. No mains power? No problem - the Parabeam receiver works on 12Volts and can easily be powered by a 12V battery - call us for more details. The kit includes full instructions and is an easy DIY install. 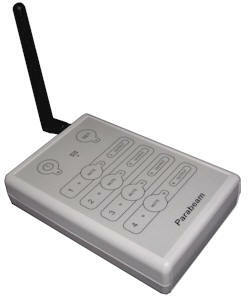 Parabeam Driveway Alarm / Perimeter Alarm System. 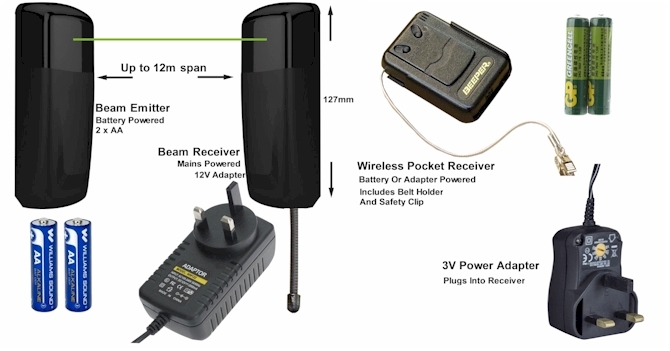 The Parabeam 700 Additional Wireless Base Receiver - Two Zone has a nominal range of 400 meters and up to 3 Km using the Megabeam External Antenna. The receiver has individual beep sequences and LED to distinguish between zones. An output of approx 4 second duration can be used to power external sirens, visual alert strobes, pocket receiver relay transmitter or can be used to switch security lights or incorporate into an alarm or CCTV system. Add up to a total of two additional security beams to the 2 zone base receiver. 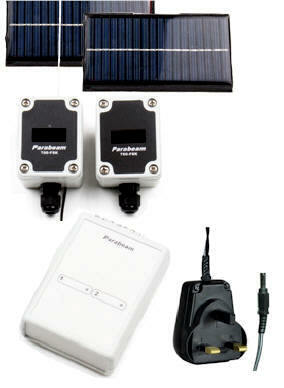 The receiver also has a battery charger socket to quickly charge beam batteries if required. "Although we live in town we could never hear people pulling into the drive or knocking on the door,…. Now, thanks to the Parabeam infrared security beam, we never miss a visitor." "Now we installed the Parabeam system, we now know as soon as someone steps on our property. Thanks for the quick delivery." "Just to say many thanks, my Son installed the beam last week and it works every time. It's like having a guard on duty at the gate permanently, I feel much safer now." "Thank the Lord I found you guys! After wasting my hard earned cash on two other cheap gate alarms I've finally found one that does what it says it will do. The range is no problem and it doesn't keep false alarming like the others. Shame I didn't buy yours first but that's another lesson learned. I'll recommend you to all my friends." Parabeam driveway alarms / perimeter alarms / driveway alert systems have many applications for rural security, alarms for farms, farm gate security, compound security, equine security, properties with long driveways, compound security, vulnerable perimeters, orchard security, security for nurseries, car yards, golf courses, sports fields etc.